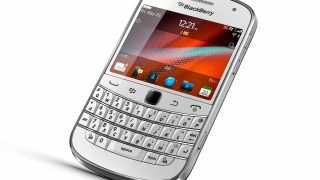 BlackBerry on the brink: can RIM get its mojo back? A company on the rocks? BlackBerry owner RIM intends to refocus. Is it too late? Do you know what the number one cause of business failure is? Success. For every firm that goes to the wall because it simply couldn't bring in enough cash, there's another firm that got really big and then blew it. Firms blow it in several ways. Some of them get stuck in a rut, so convinced that their way is the right way, the true way and the only way that they don't spot fitter, faster competitors until it's too late. Others overstretch themselves, forgetting what they're good at and chasing market sectors far beyond their core skills. And others release really crappy products. RIM, it's safe to say, has done all three. RIM's denying that it's pulling out of the consumer market, but there's no doubt that its business isn't exactly having a purple patch just now. It's losing enormous amounts of money, and many of its products are duds. So what caused the nosedive, and can RIM pull out of it? RIM's story is one of two parts. There's the pre-iPhone bit, and there's the post-iPhone bit. The pre-iPhone bit was the golden age, with everybody in a suit toting a BlackBerry so they could keep in touch with their all-important emails. I had one, and it was brilliant: at the time, there wasn't a better phone for email addicts. The problem was that RIM did what many innovators do. It stopped innovating. That wasn't a problem initially, but then Steve Jobs decided that Apple could do a better job. The iPhone, as we all know, was a huge success - but when it was launched, RIM executives genuinely believed that Apple was playing an elaborate joke. It's not possible to build a phone that good, they thought, and spent the next couple of years proving it by making phones that weren't as good as iPhones. Meanwhile Apple made the iPhone more and more attractive to businesses, chipping away at RIM's core customer base. RIM's response? Make a crappier iPad that doesn't work properly without being paired with a BlackBerry phone. That worked really well, and helped turn RIM's financials into the black comedy they've become. According to new boss Thorsten Heins, "We believe that BlackBerry cannot succeed if we tried to be everybody's darling and all things to all people." Unfortunately trying to be all things to all people has been RIM's exact strategy for more than five years. I hope the promises of a renewed focus on business customers aren't just PR waffle, because focus is exactly what BlackBerry needs if it's to avoid becoming a footnote in tech history. The problems aren't insurmountable. When Steve Jobs returned to Apple the firm was a basket case, but the combination of a simplified product range and really, really good products made Apple what it is today. That's one Apple thing RIM really ought to copy.